In addition to veto motions, the House also voted on housekeeping and sunset-law measures to be passed before the end of the calendar year. An example of this pre-end-of-year housekeeping was SB 1381, a bipartisan bill to maintain the State’s unemployment insurance (UI) system and UI laws for calendar years 2018 and 2019. 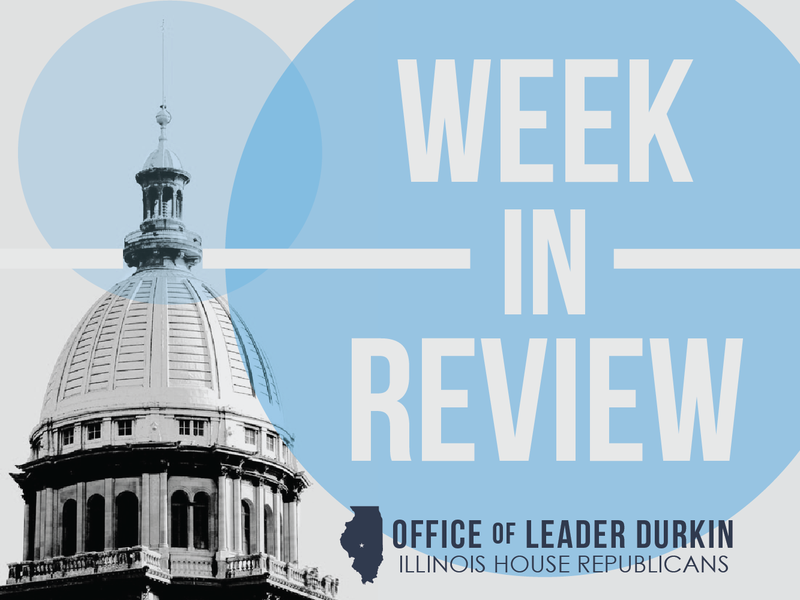 Under the Illinois Constitution, the General Assembly is scheduled to meet for a second and final week of veto session in the first full week of November. Bill actions taken by each house of the General Assembly this week can be taken up by the other chamber during the session’s second week. Persons interested in individual bills can look up the up-to-the-minute status of each bill in Veto Session on the General Assembly website. Illinois completes $6 billion bond sale to pay down backlog of unpaid bills. The State sold $4.5 billion in general obligation bonds this week to pay down a portion of Illinois' roughly $15 billion backlog of unpaid bills. Proceeds from Wednesday's bond sale, together with the proceeds from the $1.5 billion Series 2017ABC general obligation bonds that were sold competitively last week, will be used to help cut the State's backlog approximately in half by June 2018. The State received orders from more than 100 institutional investors. "We are pleased by the investor support on such an important financing for the State," said Kelly Hutchinson, director of capital markets for the State. The State locked in a combined cost of borrowing of 3.5 percent on the State's $6 billion in general obligation bonds issued to reduce the State's backlog. This is a significant reduction in the carrying cost of the State's backlog obligation, a portion of which has been accruing late payment interest of 9 to 12 percent. The $4.5 billion in general obligation bonds issued Wednesday were sold by a syndicate team led by Barclays Capital Inc., Citigroup Global Markets, J.P. Morgan Securities LLC, Loop Capital Markets, Siebert Cisneros Shank & Co., and Bank of America Merrill Lynch. The bonds mature from 2020 to 2028. The bonds are being issued as fully tax-exempt and are rated "BBB" by Fitch Ratings, "Baa3" by Moody's Investors Service, and "BBB-" by S&P Global. Illinois State Board of Education continues transition to SAT testing. The nationwide Standardized Achievement Test (SAT), historically used as by college-bound students as an entrance exam, has previously been chosen by the ISBE as a universal test to be administered throughout Illinois high schools to measure high school performance and student aptitudes. It is necessary that each high school administer the same test; this will generate standardized results that can be used to measure not only students but also their schools. The Illinois State Board of Education (ISBE) has now set forth the SAT scores that will be seen as “minimum proficiency” scores. By vote of the statewide board in October 2017, ISBE is recommending that all students and their schools achieve a minimum proficiency, and average aggregated group minimum proficiency, of 540 in math and 540 in literacy (reading/writing). These minimum proficiency scores will be referenced in future reports on school and school district performance. Illinois House defeats bill to ban trigger modification devices. This week, House Democrats attempted to use the recent Las Vegas tragedy to make criminals out of many law-abiding gun owners. House Bill 4117 would have prohibited the knowing sale, manufacture, purchase, possession, or carrying of a trigger modification device. The bill was described by its sponsors as a way to ban what are called “bump stocks.” However, the measure went well beyond bump stocks. House members concerned about HB 4117 described a wide variety of additional firearm fittings and modifications that affect the trigger of a firearm and would be subject to a ban under the proposed measure. It was also stated that language in the bill that purported to carve out an exception for members of law enforcement was badly written and inadequate for the purpose of protecting the police. After an Illinois House debate on Thursday, October 26, HB 4117 was defeated by a vote of 48-54-0. 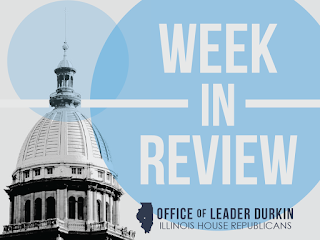 Republican State Rep. Barbara Wheeler is working in conjunction with the Illinois State Rifle Association on legislation to curtail the presence of so-called “bump-fire stocks” in Illinois. House Bill 4120 prevents the future sale and possession of the device used during the deadly Las Vegas shooting which left 59 people dead. Under HB 4120, it will become illegal to import, sell, manufacture, transfer or possess a bump-fire stock in Illinois. Wheeler noted that since 1935 U.S. law has banned most automatic weapons, like the Tommy gun made famous by horrific mob violence in the early years of the 20th century. Since the only purpose of the bump-fire stock is to increase a rifles rate of fire to perform like an automatic firearm, it is an end-around way of skirting safety laws already in place for decades. “I want to thank the State Rifle Association for working with me to craft this legislation to improve public safety while ensuring the 2nd Amendment rights of law-abiding Illinoisans is not infringed,” said Wheeler. U.S. News rankings place three Illinois universities in nationwide top 60. The U.S. News ranking of U.S. colleges and universities is a widely-consulted resource measurement of their standing. Elite faculty prospects, high-ranking students, and their parents and advisors often consult the list. In the “Best Colleges Ranking” for 2018, U.S. News awarded a tie for the nationwide No. 3 spot to the University of Chicago, which was ranked alongside Yale University. Evanston’s Northwestern was in a 3-way tie for #11, ranking alongside the Ivy League’s Dartmouth and Baltimore’s John’s Hopkins. In Downstate Illinois, the University of Illinois at Urbana-Champaign (UIUC) was ranked in a 2-way tie for #52. UIUC earned this honor is tandem with its Big Ten rival Penn State. The flagship University of Illinois campus outranked several other Big Ten rivals, including Purdue (#56), Maryland (#61), and Rutgers (#69). The ranking was finalized prior to the major $150 million Larry Gies gift given this week to the business school within UIUC. The U.S. News rankings encapsulate several numerical variables that include the entering student body’s high school GPAs, entrants’ high school test scores, and the college’s application acceptance rate. The ranking was publicly released on Tuesday, October 24. U of I Business School receives $150 million gift. The Gies College of Business will pay tribute to benefactors Larry and Beth Gies. During the course of his Chicago-based business career, Larry Gies has transitioned from private equity to the management of the global industrial conglomerate Madison Industries. Madison, which is a build-out from firms acquired by its private-equity predecessor, possesses significant market shares in a variety of industrial products and processes. Gies, a graduate of the school, and the U of I’s College of Business state that the Gies College will concentrate on undergraduate and graduate excellence, business research, and the multiplication of technology-based educational opportunities. The Gies College is headquartered at the University of Illinois’ Urbana-Champaign (UIUC) campus. The substantial addition to the endowment of the Gies College will help move UIUC’s business school ahead in the competitive hierarchy of U.S. research institutions that focus on management excellence. September 2017 jobless rates drop in all Illinois metro areas. A report from the Illinois Department of Employment Security (IDES) showed the year-over-year unemployment rates dropped between September 2016 and September 2017 in all of Illinois’ metropolitan areas and in all 102 counties. The state’s overall jobless rate of 4.6% in September was an improvement of 100 basis points (1.0%) over the 5.6% unemployment rate posted in September 2016. Favorable rates below 4%, signaling an approach toward “full employment,” were posted in Bloomington-Normal (3.6%), Champaign-Urbana (3.9%), Lake County (3.8%), and Springfield (3.9%). 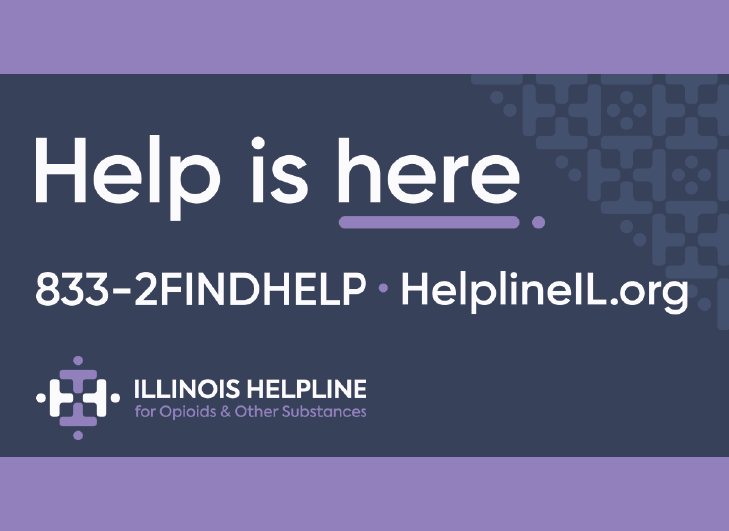 The numbers signaled continuing strength for parts of Illinois identified with financial services (Bloomington-Normal, Lake County), health care research and development (Lake County), and higher education (Bloomington-Normal, Champaign-Urbana, and Springfield). 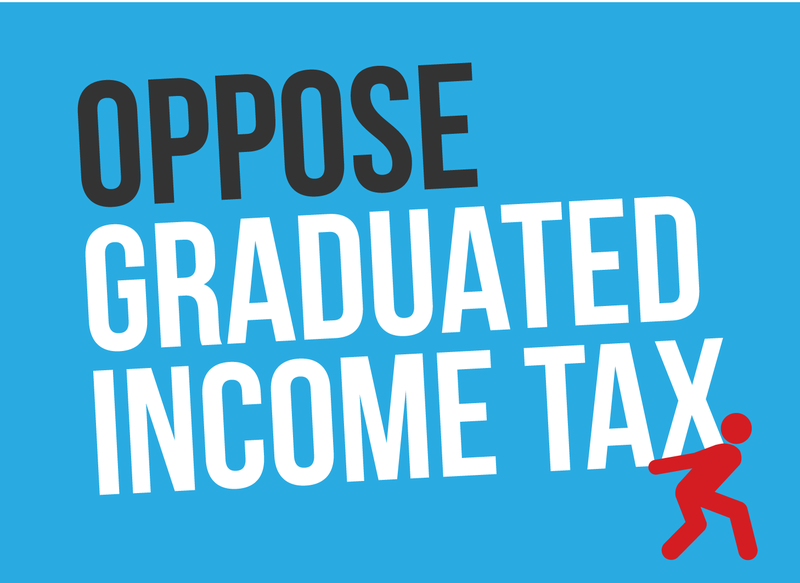 Three of the four Illinois metro areas with jobless rates below 4.0% are homes to campuses in the Illinois system of public higher education. Higher September 2017 jobless rates were posted in metro areas traditionally oriented towards industry and manufacturing, including Danville (5.9%), Decatur (5.1%), and Rockford (5.0%). Communities in this category are often affected by “hidden” unemployment, unacknowledged joblessness caused by former workers who have dropped out of the labor force and are no longer actively searching for employment. Illinois State Lottery’s new private partner sets aggressive growth targets. The Camelot Group, an international private-sector gaming enterprise, has been selected as the entity that will work with retailers to sell Lottery tickets. As part of the selection process, which was set to be completed this week, the Group’s Illinois affiliate Camelot Illinois is pledging to try to increase annual Lottery ticket sales to $4 billion/year. This would generate more than $1 billion/year for State school aid and other budget items funded by Lottery profits. While this is less than 5% of the total funding required to run Illinois schools, it would offer much-needed additional aid to Illinois education. In FY16, under prior management, the Illinois State Lottery generated $691 million for deposit into the School Fund. Illinois State Lottery ticket sales have been flat for more than five years. Various factors are blamed for this stagnant sales picture, including an Illinois budget default that led operators of multistate grand prize games such as ‘Mega Millions’ and ‘Powerball’ to suspend Illinois’ right to sell tickets. The Lottery is also experiencing a break from its former private partner, Northstar Lottery Group. Northstar was demoted from the official position of Lottery private partner in 2015, but has continued to print scratch-off tickets, deliver tickets to retailers, maintain and service ticket-numbering machinery on sales counters, and perform other duties for the Lottery on a month-to-month basis during the search for a new private partner. Camelot Illinois’s contractual term as the Illinois State Lottery’s private partner is slated to extend for a 10-year period set to end in 2027. Camelot states that the long-term nature of this contract will enable them to invest in new retailer ticket sales equipment and signage. Camelot also plans to write and post new code for customers to buy Lottery tickets online, including an app for phone-based sales transactions. The Camelot Illinois contract is set to be announced on Friday, October 27, with the firm to take over its new duties on January 2, 2018. Total archery deer harvest level in 2017, but percentage of bucks going up. Numbers reported to the Department of Natural Resources (IDNR) by licensed hunters indicate no significant changes in the overall number of deer being taken by archery hunters this year. However, the percentage of bucks is going up from 31% last week to 34% this week. As of the fourth Sunday in October, bow hunters had taken 11,396 deer, up less than 1% from 11,335 taken by bow last year at this time. The approaching annual rut is, as in past years, increasing the movement of buck deer and their vulnerability to hunters in stands.